Whatever the weather, our colour changing raincoats will make it better! 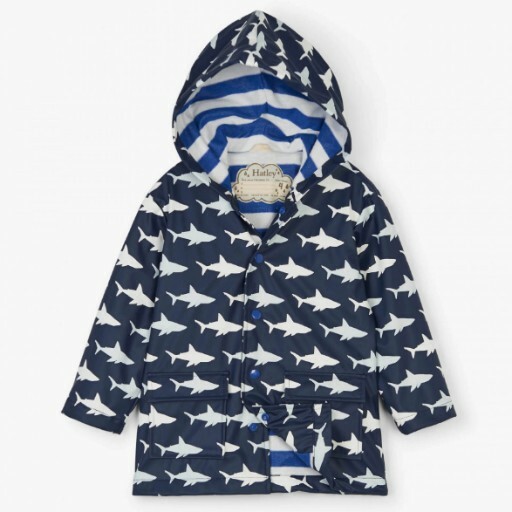 This style with its bold shark print will have your little one wishing for rain every day. Pair it with the matching rain boots and umbrella or mix it up for a daring look! Features: Print changes colours in the rain Waterproof and PVC-free Fully lined Front snap closure Inside hanging loop Front patch pockets Machine washable 100% polyurethane.